Above: Screenshot of Wasting Time on the Internet. Click to view more. 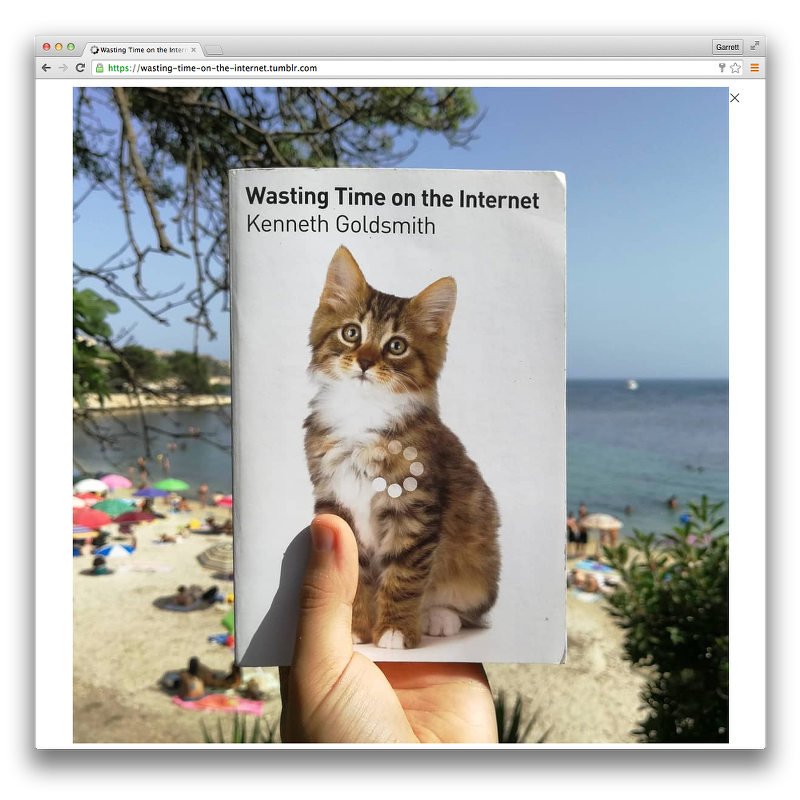 Wasting Time on the Internet is a collection of photographs of the book Wasting Time on the Internet by Kenneth Goldsmith found on the internet and exhibited as a weblog. 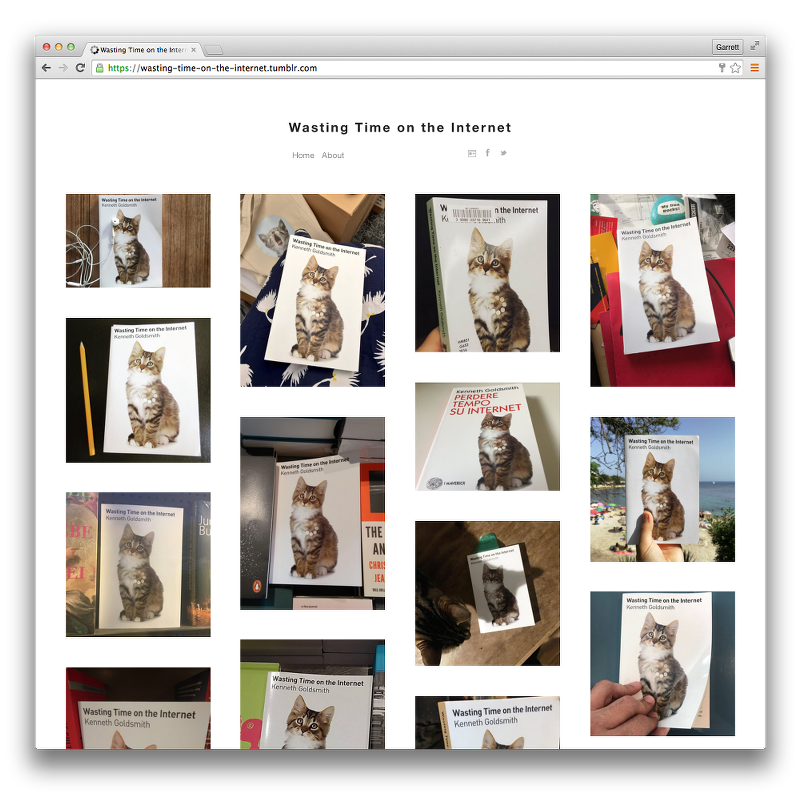 Reader’s/user’s uploading photographs of a book about wasting time on the internet to the internet can itself be considered an act of wasting time. By collecting and assembling the found photographs into a weblog the act of wasting time is continued by the artist. 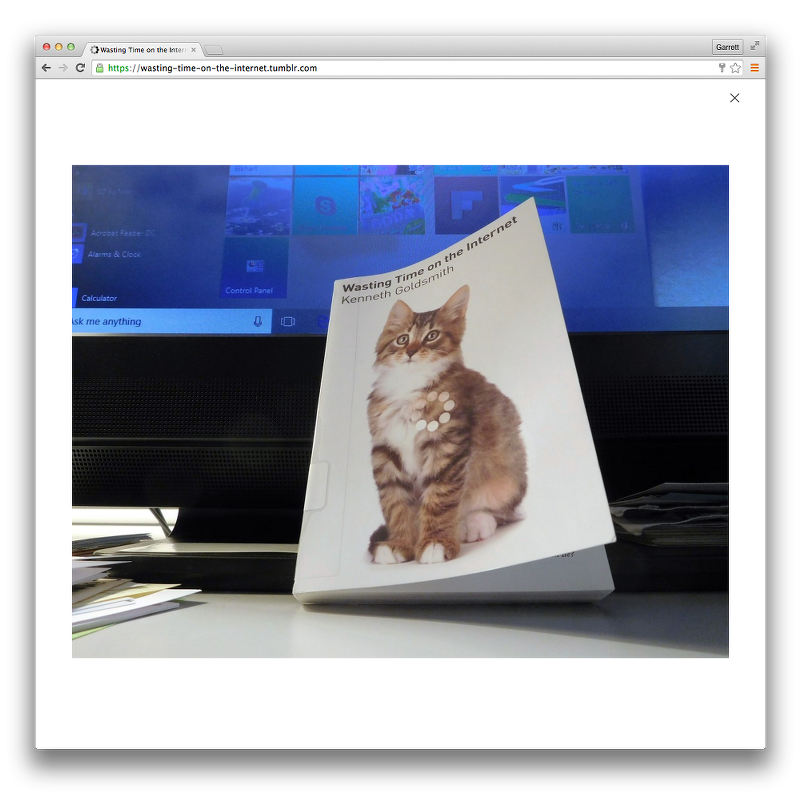 In accordance with Goldsmith’s thesis, however, the act of wasting time as well as imagery of the book that contains his thesis, become the basis for creativity that occurs on the ‘site’ of the internet as an internet-based artwork.